The launch of the Apple Watch today was viewed by millions of people, and got the world talking about how the health and fitness agenda is being brought into the age of convenience. Health and wellbeing tracking has never been more accessible, and today’s presentation heralds a new era of technology that takes the wearable device out of geekdom and into the mainstream. Showcased by Jony Ive as “a compelling beginning to design technology to be worn,” the watch comes in a range of styles to suit everyone. It is now easy to imagine a world where everyone has a device on their wrist to track physical activity and a lot more. The Apple Watch has in-built chips to track steps taken and stairs climbed - the same functionality currently in the iPhone 5s and 5c but the watch adds a new sensor that tracks the wearer’s heart rate. When it becomes available in early 2015, 200 million people will already have the ability to use the watch in tandem with their iPhones. 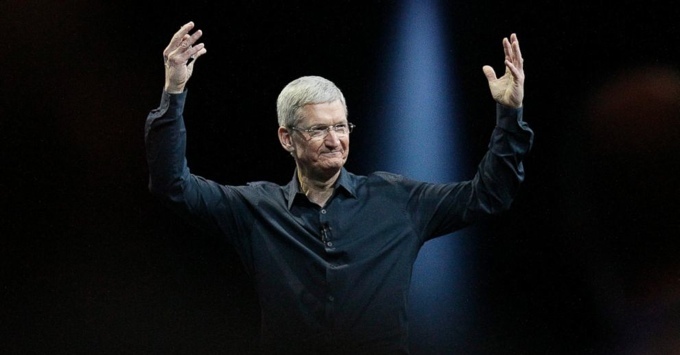 At Reward Gateway, we watched Tim Cook’s announcement with bated breath, and we were not disappointed. How could a device like this could be used by employers? How could it improve employee wellbeing? Could it improve employee benefits communication? What is the employee engagement and staff recognition angle? What could a watch like this do for HR & Reward Managers? Apple CEO, Tim Cook introduced the Apple Watch as ‘a comprehensive health and fitness device’, in line with the motto to ‘sit less, move more and get some exercise’. It’s clear that physical wellbeing is important to Apple, and with the responsibility for employee health and wellness becoming more topical each day, the implications for the Apple Watch in a workplace setting are far-reaching. The watch targets physical activity tracking from two angles. The Fitness App monitors wearer activity throughout the day, and the Workout App allows you to set specific goals for physical activity such as running or cycling. From an individual point of view, the feature to set achievable goals for yourself represents immediate value, and is even more interesting to think about from a company-wide perspective. The goal-setting example in the demo showed us the ability to track whether or not the wearer completes the recommended 30 minutes of brisk exercise a day. This sort of goal could easily be introduced to employees by all types of company. But going beyond that, could the watch be used to track more personal, company-specific goals? For staff who sit at a desk all day, could an employer encourage the goal of taking the stairs every morning? If you haven’t got up from your desk all day, could a device like this prompt you to stand up for a minute or two? Or looking at this from a broader wellness perspective, could the heart rate sensor feature be used to alert employees when they are stressed, and remind them to take a break? In fact, using the watch to target employee wellness in a broader way brings up all sorts of questions. The launch of iOS8 means that apps will speak to each other like never before, hinting at an impending wave of 3rd party apps that will track stress, sleep, spending habits, productivity and a whole lot more. In the future could corporate wellbeing platforms push out daily goals to an entire workforce of people at the same time? 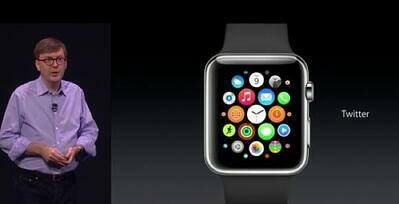 Tim Cook spoke passionately about the Apple Watch being the most personal product they have ever designed. We ask, could it create a world where the ways in which we communicate with our staff will become more meaningful and interactive than ever before? Beyond incentivising goals around physical health and wellbeing, there’s great potential to leverage the sensors and connectivity of the Apple Watch to incentivise and measure broader and more creative wellbeing goals that are key to your company culture. Thanks to the Apple Watch's use of the iPhone’s GPS functionality, we can throw location data into the mix as well, opening up new possibilities for reward and recognition. For instance, why not reward employees for spending a balanced amount of time away from the office? Or, if it’s aligned with your company’s values, why not reward them for being so far away from the office that they’re now in a different city, country, continent, or simply somewhere they’ve never been before? Plenty of forward-thinking companies have already implemented similar perks as part of their employee benefits programs. Airbnb offers its employees $2,000 USD per year to get away from the office and travel anywhere in the world. The SEO gurus at Moz encourage their employees to use each and every one of their vacation days by offering $3,000 USD in travel reimbursement to any employee taking their full 21 days of vacation time. Now these goals could be brought to life and tracked through the Apple Watch. Goal-setting could be aligned with project goals for teams or individuals too. Imagine your Apple watch connects to your CRM system and it displayed your teams’ progression with meeting sales targets. It could even include weekly messages for motivation. And when goals are achieved and you want to praise good behaviour, recognition could be instant. The Apple Watch vibrates to let you know you've hit your goal and within minutes you've got a message from your boss saying well done with a $20 voucher attached, right there on your wrist. Because the Apple Watch has ApplePay built in, maybe in the future you'll even be able to spend that $20 voucher just by tapping the watch at the checkout of your local store - reward and recognition would be really personal then! If you could design your company values as icons that your staff could send to each other, it would make it even easier and quicker to connect the great things your staff are doing with what’s important to you as a business. And how about getting the employees' view on what’s happening in the business? How about understanding your company heartbeat? Is it going strong or getting a bit weak? Could the Apple Watch literally give you a pulse on what your employees are thinking and feeling about a new initiative? You could use it to communicate latest company news with employee flash polls that they could respond to instantly straight from their wrist. The Apple Watch could integrate your reward and recognition program more deeply into an individual’s habits by taking it away from a website and wrapping it around their skin. "Your PC is at your desk, your laptop in your bag, phone in your pocket but your watch is so personal it is literally pressed against your skin all day." Tying your employee benefits together. The immediate, personal nature of the Apple Watch has clear implications for encouraging sign-ups across multiple employee benefits initiatives. It’s so easy to ignore an email in a long list, but if something vibrates on your wrist and is short enough to digest in a second, an employee is much more likely to pay attention. Something as simple as a notification to remind you that a benefit application window closes the next day could have a huge impact on registrations. The Twitter age has forced us to reduce our messages to 140 characters, and in truth no one seems to have the attention span for more than 100 words at a time. Employers could see a surge in employee benefits uptake because of how simple benefits communication could become. The physical limitations of the watch and it's small display will force us to communicate with a precision and brevity that we've never done before. In terms of other benefits, the Apple Watch has very real financial wellness implications as well. Apple Watch has been announced along with Apple Pay which will allow people to save their credit card information in their iPhone/Apple Watch and pay for transactions without the need to carry around their card. For any workplace that uses an employee discount program, this could be a great step forward. Any program an HR team has in place could use Apple Pay to create a much more seamless experience. Apple Pay can be used online as well as in-store, which will mean almost zero fraud with online shopping due to the combination of TouchID and GPS location tracking. This should increase shopper confidence, and accelerate online shopping, placing increased importance on employers wanting to offer relevant and great perks to their employees and to provide discounts to online vendors. Not only could employee discount programs be improved, but these new technologies could improve entire financial wellness initiatives. If a person is tracking all of their purchases on their watch, it wouldn’t be far-fetched for a financial wellness app to be created around this data and send opportunities for discounts, budget planning and over-spending alerts. An hour’s brainstorm following Apple’s special announcement today has already sparked a thousand possibilities for the use of the new Apple Watch in the workplace. Together with the dawn of an entire new way of looking at employee wellness, and an unprecedented wave of apps that communicate with each other, there’s no telling what the future holds.